The poet Gaston Bachelard explores the need all human beings have for a sense of place, a sense of belonging to a place – a home. He discusses different kinds of shelters from the most primal, including the concept of oneiric space. 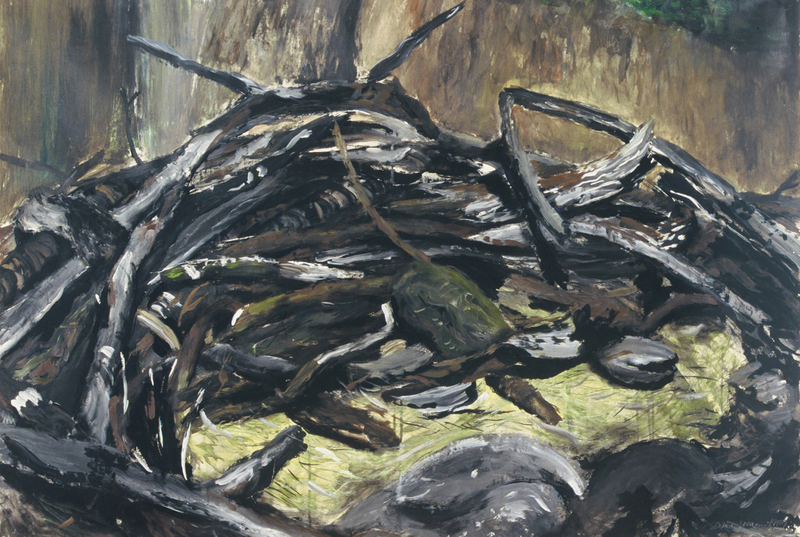 A living nest is a metaphor for the primordial home. A nest stands for our oneiric dwelling in which we experienced a sense of well-being and where we first acquired a confidence in the larger world. Once we move away from our original home, it stays with us as a state of mind. In our daydreams we can come back to it anytime we need to retreat from the world. The shelter I was seeking was one of interiority, on the inside. 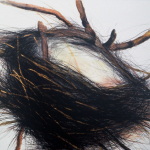 In working through the images of nests and dwellings in my artwork, I have tried to create my own imaginative and psychic place of refuge. 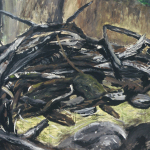 An ambivalence hovers around my images of nests and dwellings. 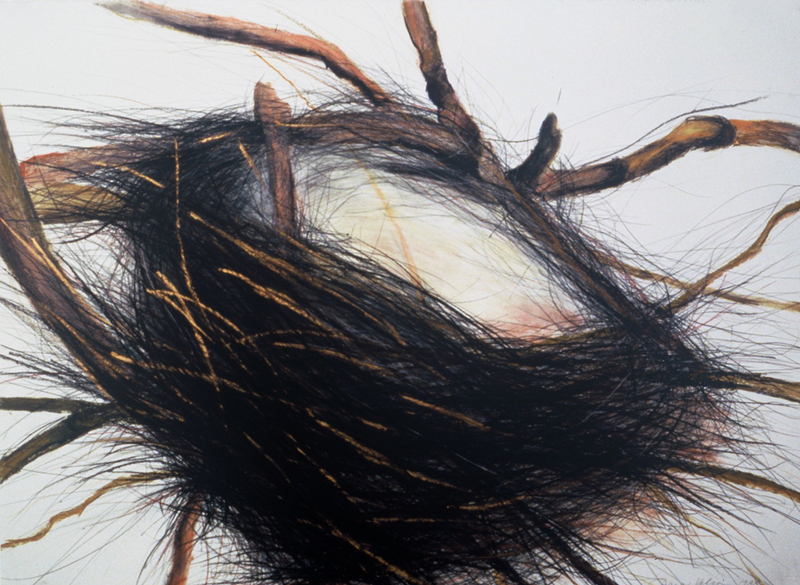 The Nests drawings have a soft center but the branches out of which the nests are made look uncannily like barbed wires. Similarly, the primitive dwelling shapes that I obsessively drew are shelters, but the dark blackness of the entrance ways suggest an ominous, at time threatening, place of refuge.